Is it a bag? Its a shipping bag? No, its both in one! 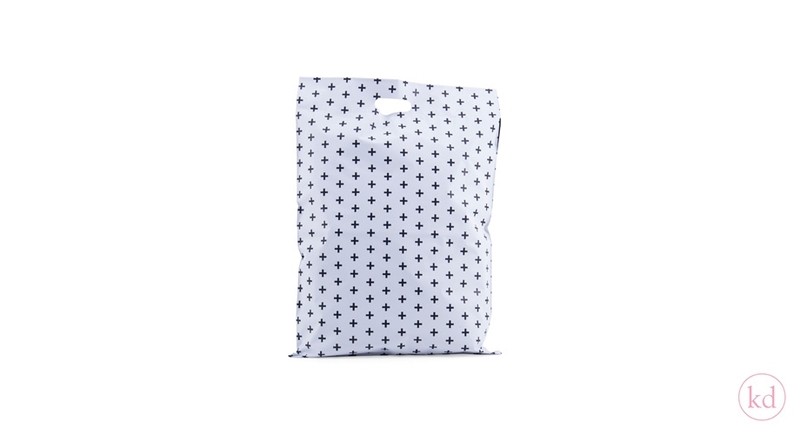 Check out these awesome internet shipping bags with a cross pattern all over in black and white. And the most amazing thing about these handsome, they got a cut-out handle! 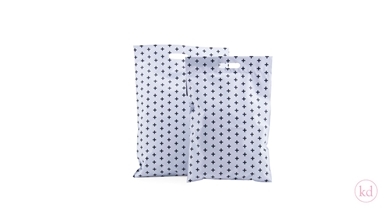 So they can also be used as a normal bag! And the black inside keeps anybody from peeking inside!